My first role was at Honda as a New Model Supplier Development Engineer. A year later I moved into a Product Engineer role where I was primarily testing cars. I was also a member of the company race team in my spare time. After three years, I moved to McLaren Automotive in Surrey to design and manage the production of supercars as a Project Engineer. It’s great to see components I have designed out in the market. I am also a Track Engineer for a race team outside of work and have travelled to Europe and Asia, racing at some fantastic circuits, and I have also taken part in the 24Hr Endurance championship. 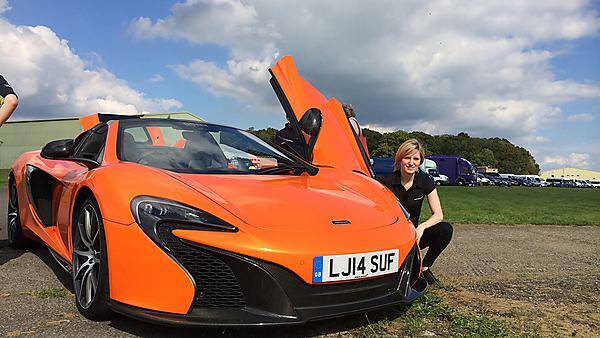 I have been lucky enough to be part of the P1 GTR programme, where McLaren owners take on some of the most iconic Grand Prix Circuits in the world with a dedicated team of mechanics and engineers. Hot weather testing the Civic Honda across Spain for two weeks was also a highlight. I wish that I had taken the option to complete a year in industry. Lots of my friends took the option and it gave them a fresh outlook and, at the same time, they managed to make some savings before completing their course. Placements are a great chance to secure a job to go back to once you complete your degree. Get experience in your chosen field as soon as you can – even voluntary work during the summer break. You need to make yourself stand out and show that you actually have a real passion for what you want! Studying at Plymouth allowed me to build my confidence in my own ability. Lecturers were understanding and personable and encouraged me to become the best I could be. It actually wasn’t my first choice, but after achieving the results I needed on my foundation course to go to my first choice, I decided to stay at Plymouth which was definitely the best decision I could have made. I went to Alabama with three other students to work with Auburn University students on a design project during my last year. It was a fantastic opportunity and I still stay in contact with the team I met over there. For more information about mechanical engineering please visit our BEng (Hons) Mechanical Engineering with Composites. For more information about our range of courses within the School of Engineering please visit the school page.